The following was taken from Part Time Artist, an art gallery and supply shop in Calhoun, Georgia. Jessica Jewett is an artist with exceptional talent. 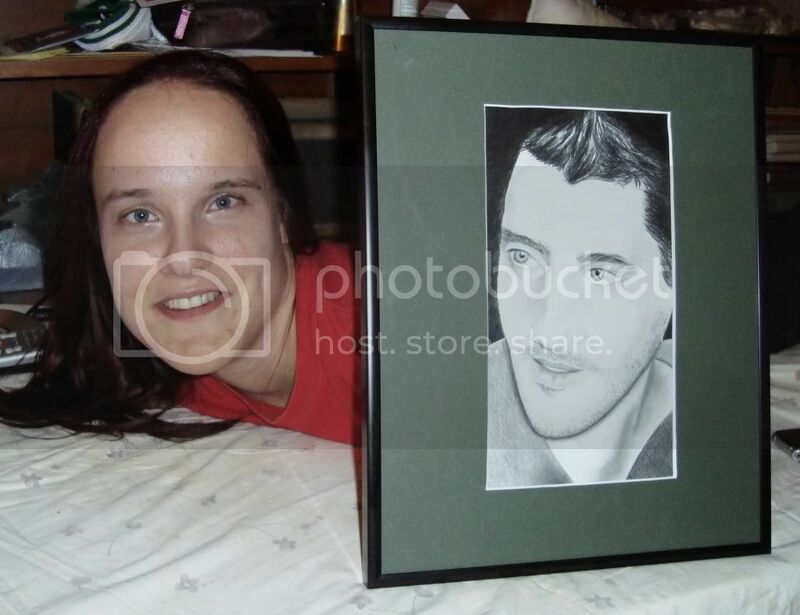 Since Jessica was born with a rare disorder called Arthrogryposis Multiplex Congenita, her artwork is even more special because she draws and paints with her mouth. Arthrogryposis Multiplex Congenita (AMC) is characterized by reduced mobility of many parts in the body. Impairment of mobility is due to the overgrowth of fibrous tissue in the joints. There are many different types of Arthrogryposis Multiplex Congenita and the symptoms vary widely among infected individuals. In the most common forms of Arthrogryposis Multiplex Congenita, the range of motion of the joints in the arms and legs is limited or fixed. Jessica says she has been drawing “since I figured out what a pencil does.” She says her disability was a problem for her at first, but then she found that by putting a pencil in her mouth she could do better than most people do with their hands. Left: Indian Dance, colored pencil, 1998. 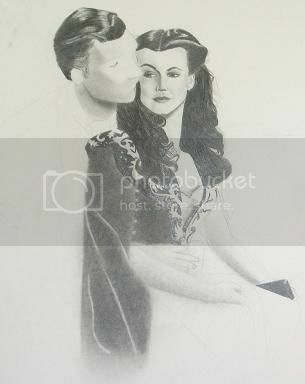 Right: Gone with the Wind, charcoal (unfinished), 1998. 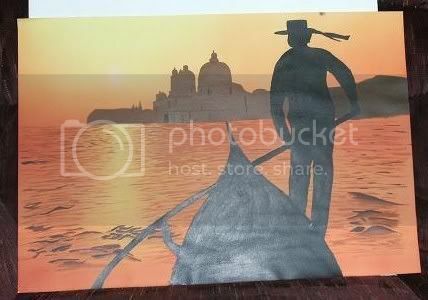 Italian Sunset, acrylic paint, 1999. 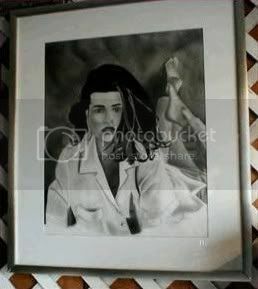 Left: Kevin Richardson portrait, charcoal, 1999. 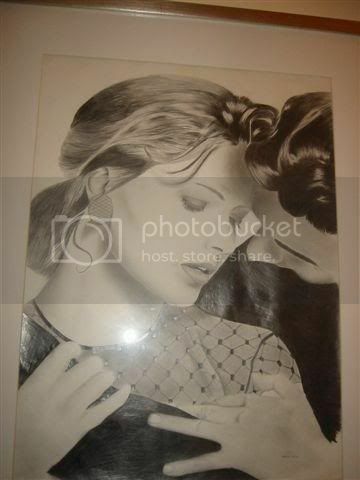 Right: Lying Girl, charcoal, 1999. 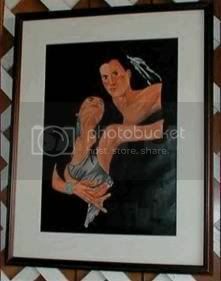 Left: Lovers, charcoal, 2000. 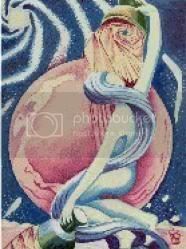 Right: Tarot, colored pencil, 2000. 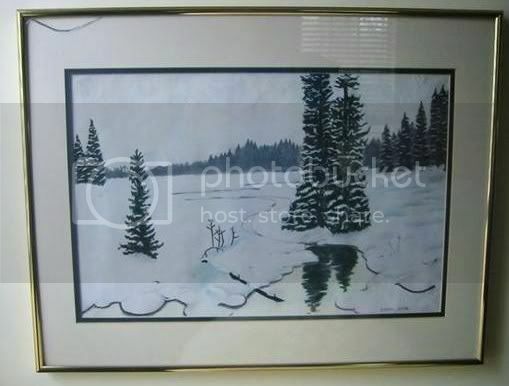 Winters I Remember, colored pencil, 2000. 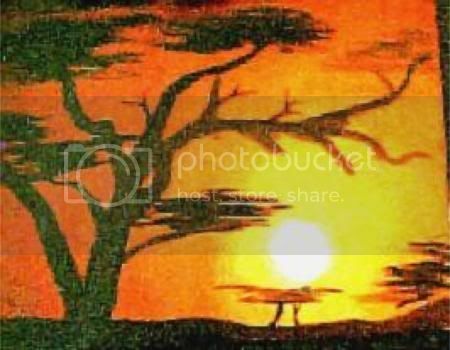 African Sunset, acrylic paint, 2002. 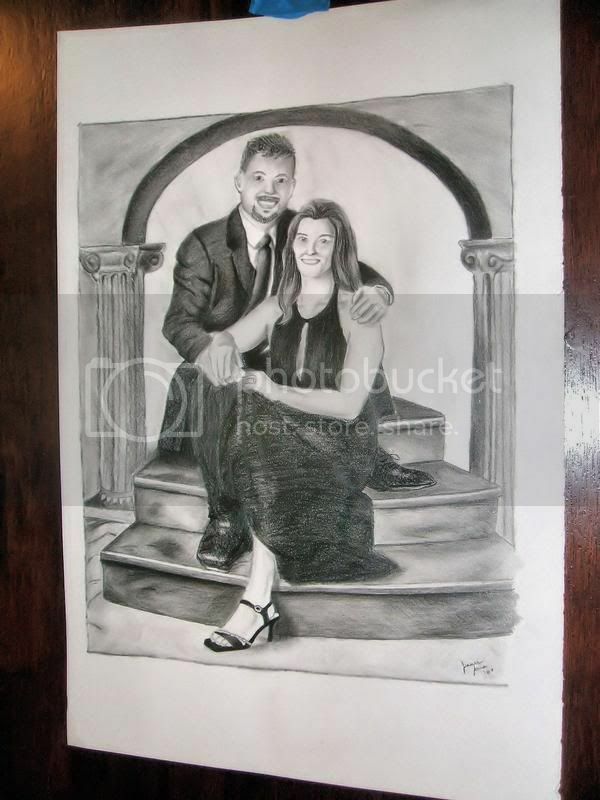 Left: The Mintons, charcoal, 2007. 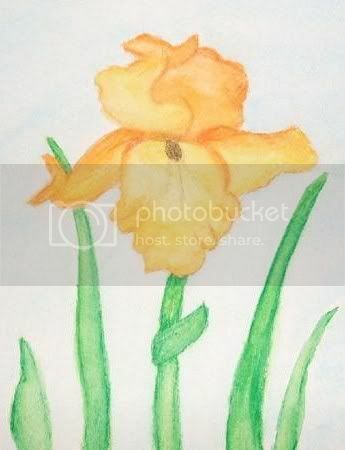 Right: Yellow Iris, watercolor pencil, 2007. 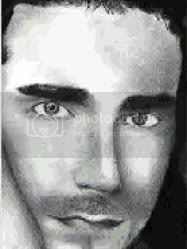 Jonathan Knight, charcoal pencil, 2009. Nighttime lake painting in progress. Oils on canvas. Summer 2012. Nighttime lake. Oils on canvas. Summer 2012. A page from Jessica’s sketchbook done in July 2015. Candle and books, from Jessica’s sketchbook. February 2016. A study in anatomy, from Jessica’s sketchbook. February 2016. Inkwell and pen, from Jessica’s sketchbook. February 2016. Charleston window, from Jessica’s sketchbook. February 2016. Fantasy character, Prismacolor colored pencil on paper. March 2016. Fantasy kingdom, Prismacolor colored pencil on paper. March 2016. Mermaids, Prismacolor colored pencil on paper. March 2016. In the summer of 2016, Jessica has plans to open an Etsy shop where interested people can buy her original art, handmade products like greeting cards and bookmarks, as well as other crafts. Keep an eye on Jessica’s Facebook, Instagram, and Twitter accounts for more information!